What is the number one past time in the whole world? I honestly do not have solid data about that, but I would go out on a limb here and say that whatever it is, it probably involves the TV. It could be watching TV shows; it could be watching movies on TV; it could be playing video games (which of course needs a TV screen). At the country’s biggest consumer electronics show, which opened Tuesday just outside of Tokyo, all the major makers had large 3-D prototypes on display. Visitors to company booths at the CEATEC show donned special electronic glasses and watched as soccer balls flew toward them in sports clips and virtual heroes dodged deep into the background of video games. 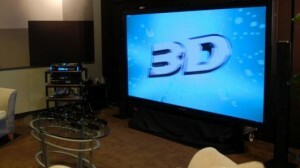 Sony Corp. and Panasonic Corp. have both said they will bring their first models to market next year. Details about what will be available to watch on the new TVs are still sparse, though the companies said they want to begin with movies and games. Obviously, content is a big thing. It’s like the 1080p TVs of today – what use are they if what’s broadcasted on cable does not follow the standard? As such, we probably should not get too excited about the whole thing for now. We have to wait for the content providers to follow suit and provide 3D content before we shell out big bucks for this new TV set. Still, it is a portent of things to come – and it is looking good!